What does insurance generally cover in a storm? Insurance policies often vary, but most cover storm damage caused by lightning, wind, hail, and heavy rain and snow. Here in Ohio, winter storms and tornadoes tend to cause the most damage (Ohio had 24 tornadoes in 2016, and even though 2017’s numbers haven’t been published, we’re willing to bet they’re much worse since in November 15 tornadoes touched down in a single day). However, the chart on the right shows just how costly the last few years have been for commercial and residential properties alike. In addition to causing damage, severe storms leave behind a lot of debris that typically needs to be cleaned up in a timely manner. If this debris damages your property (by breaking a window, for instance) then your homeowner’s insurance will typically cover it. However, if the debris has damaged nothing, you typically won’t be able to file a claim to pay for the cleanup. Flood damage is not covered by homeowner’s insurance or commercial property insurance policies. Instead, flood insurance is offered through FEMA, and is typically required on properties that lie within flood zones. 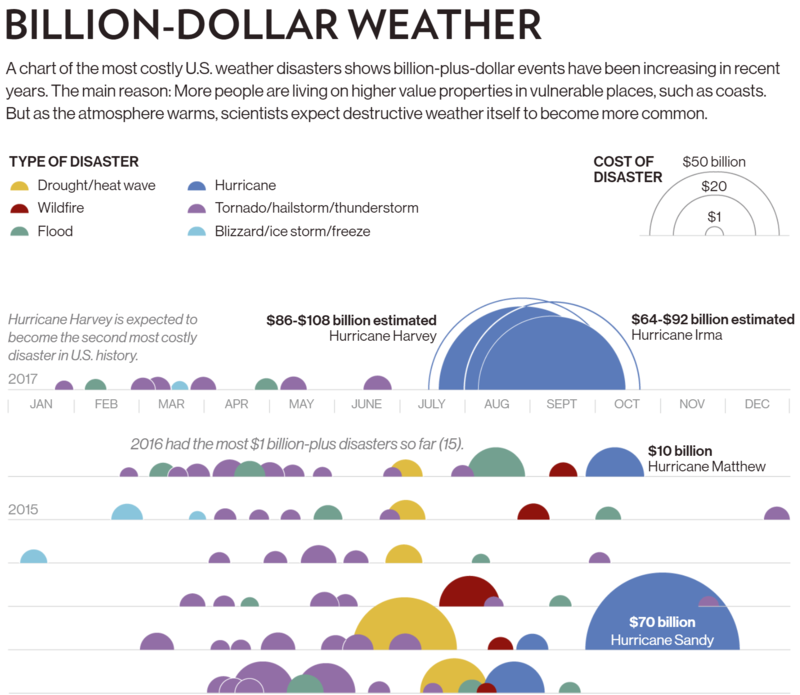 Who’s billed for damage after a storm? For properties like condos and HOA’s, determining whose insurance is going to take a hit after storm damage can be tricky to navigate. For fallen trees, typically, the rule of thumb is that the owner of the property where the tree falls (not where it originates) will file a claim. 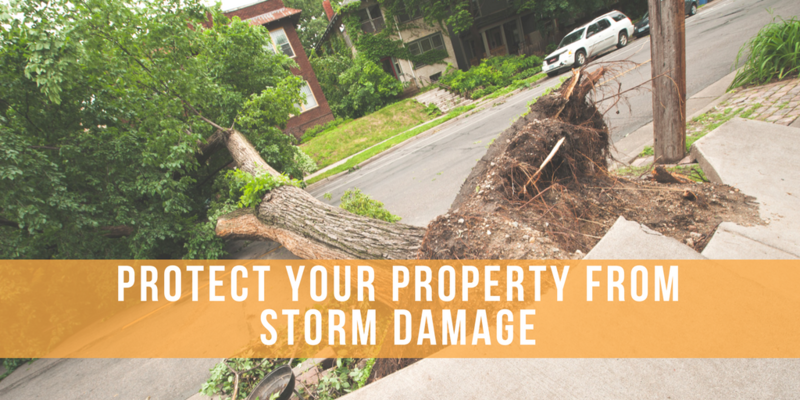 So, even if the tree was originally located in a neighbor’s property or an area maintained by your HOA, you’ll still be the one filing a claim if the tree falls on your home or damages anything on your property. The exception to this rule is if there is existing documentation stating that the tree was at risk of falling. Everyone loves trees for the curb appeal, shade, and potential energy savings they can provide. But very often due to disease or general overgrowth, trees can begin to grow weak, which puts them at risk of falling during a storm or even just due to high winds. A grounds management professional who is trained to notice signs of tree rot should advise you to remove trees that may potentially fall before they become a problem. And that’s one of the big advantages of living in a community that utilizes one company to oversee landscaping: you have one authoritative source that has access to everyone’s property and can offer unbiased advice for the good of the association. How can I make sure my property isn’t at risk for storm damage? Damage caused by storms and other natural disasters can be difficult to predict and prevent, but there are steps that you can take to minimize your risk of damage. According to OSHA, 100 people are killed by falling trees every single year. Many of these could have been prevented if homeowners and property managers knew the signs of tree death. As we mentioned above, it pays to have a skilled grounds management professional assess your property once a year after the worst of the year’s weather has taken its toll (either in the spring after snows have thawed or fall after storm season has passed). This assessment is almost guaranteed to be cheaper than any damage that results from a tree falling onto something valuable. 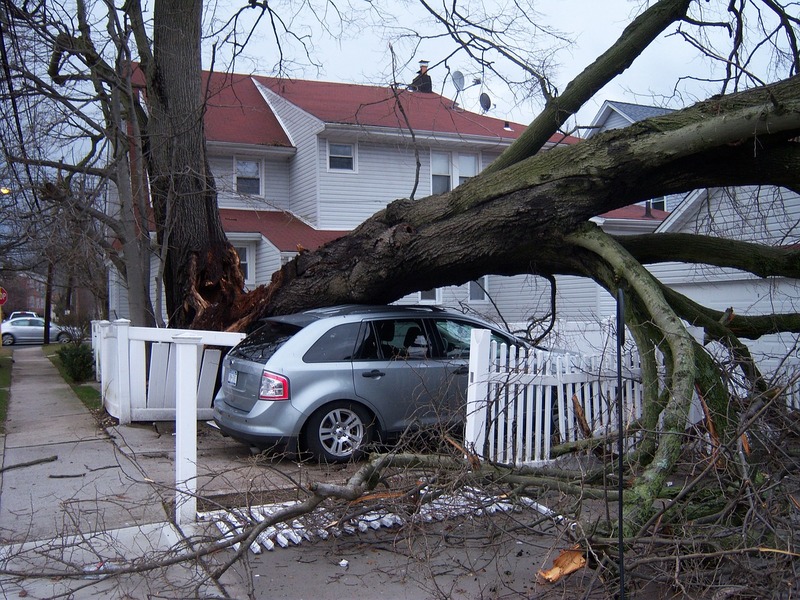 Many insurance companies won’t raise your rates for damages that are due to “acts of God,” but that changes if it’s discovered that a party was negligent and should have had a tree removed. Such claims could cause premium hikes that you might be stuck with for up to 10 years. 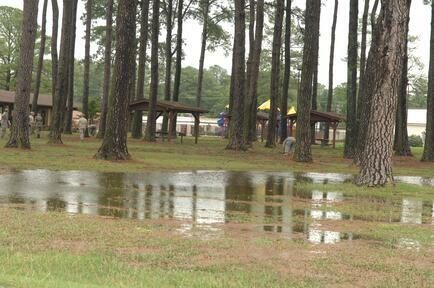 Make sure that your landscape allows for adequate drainage during heavy rainfall. If you notice water building up on your landscape, the fix could be as simple as aerating the soil, but more complex alterations such as adding a bioswale or repairing/installing drainage systems may be required. Ignoring drainage problems could cause serious problems that range from loss of plant life to water damage to your home or building. A landscaping professional can identify these problems and prevent you with a variety of solutions. Storm chasers are general contractors who offer cheap services in areas affected by severe storms and other natural disasters. While it’s possible you might find a good deal on repairs from someone like this, there are also many reports of everything from shoddy work done by unprofessional companies to downright scams. Be sure to take the time to vet the references of anyone you hire, and make sure that they’re licensed and insured. If you live in an HOA, there’s a good chance that the association has a list of reputable vendors that can help make repairs to your property. If not, your insurance provider can also make recommendations. Have questions about how to Prevent Storm Damage on your HOA or Commercial Property? 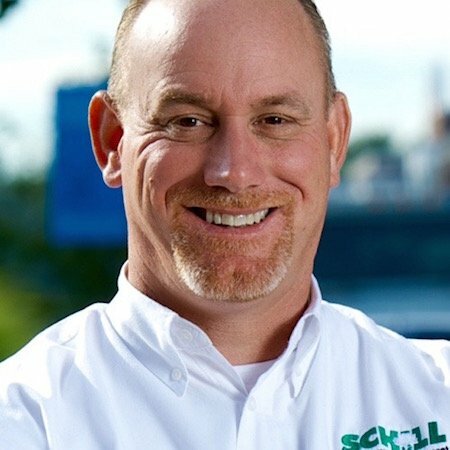 The Schill Grounds Management team is always happy to help HOA’s a commercial property owners and managers minimize risk on their properties. After 25 years in the green industry, we’ve become experts at understanding how trees and other plants can affect their surroundings. Don’t wait for the next storm. If you live in the Northeast Ohio region and would like a no obligation consultation about how to protect your property, please don’t hesitate to contact us.